This month also marked another major milestone for me personally, the debut of several initiatives that have been in development for over a year. These initiatives are through my company, Xtronaut Enterprises. Xtronaut Enterprises is a private company that I founded with my partner, Mike Lyon, to provide enhanced Education and Public Outreach activities for OSIRIS-REx and planetary exploration. Historically, NASA missions set aside a portion of their budgets for education and public outreach, or EPO. These resources are used to promote the mission to the public through experts directly involved with the program. 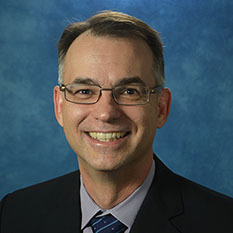 However, the OSIRIS-REx EPO budget got deleted in 2013 as part of a broader federal policy change initiated that year to consolidate U.S. education spending within the Department of Education. At almost the same time, University of Arizona President Ann Weaver-Hart announced a university initiative to encourage faculty members to create spin-off companies and commercialize their inventions. I took this directive to heart and decided to make a run at a private company to recover the lost OSIRIS-REx EPO program – and Xtronaut was born! We created the term “Xtronaut” to describe the people that make robotic solar system exploration possible. For more than 50 years men and women – boys and girls – have been on the cutting edge of space exploration without ever leaving Earth. Xtronauts are all part of EXTREME, EXTENDED, EXPLORATION. The term is meant to include all the people involved in exploration – scientists, engineers, educators, students, and the public as a whole – not just the few fortunate enough to climb into a rocket. Our goal is to help people discover that there are Xtronauts all around – and they can be Xtronauts, too! The Bennuval! 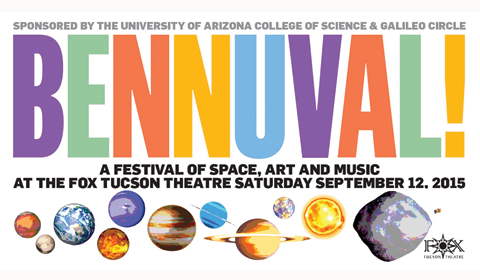 celebrates the unique creative environment of Tucson – merging space exploration with art, music, and more! 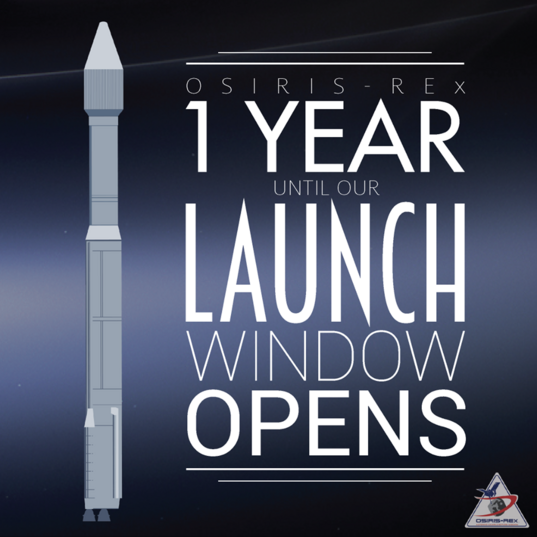 On September 12, 2015 Xtronaut celebrated one year to the launch of OSIRIS-REx by putting on the Bennuval! – a unique variety show that combined space exploration, art, music, comedy, and acrobats. This show was a great success and brought together a multitude of creative elements from the Tucson community. We received outstanding support from our sponsors including the University of Arizona College of Science and their Galileo Circle of supporters, Tucson Electric Power, the Lunar and Planetary Laboratory, Brink Media, Godat Design, Bill Westcott Financial Services, Strategic Space Development, Indigo Information Services, KinetX Aerospace, Paragon Space Development, Volvo of Tucson, and the Mercado San Augustin. The diversity of sponsors demonstrates the broad appeal and community spirit that is Tucson, Arizona! Join us next year as we make Bennuval! bigger, bolder, and more exciting by celebrating the successful launch of OSIRIS-REx. Bennu’s Journey video at Bennuval! Bennuval! featured the Bennu’s Journey video with unique musical soundtrack by Ian Zickler. 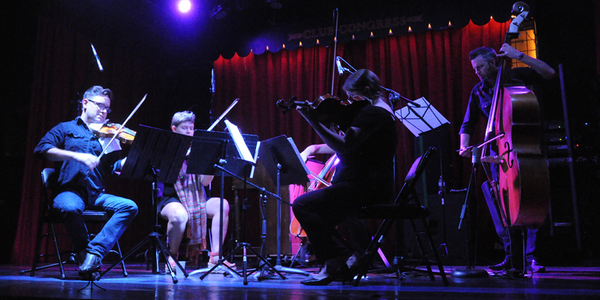 ChamberLab took the stage to debut musical pieces composed specially for this event. We also launched a Kickstarter campaign to raise funds to produce our strategy card game Xtronaut: The Game of Solar System Exploration. Capturing the real-world thrill and challenges of planetary exploration, the Xtronaut game gives 2 – 4 players ages 7 and up the chance to develop space missions and explore the solar system. 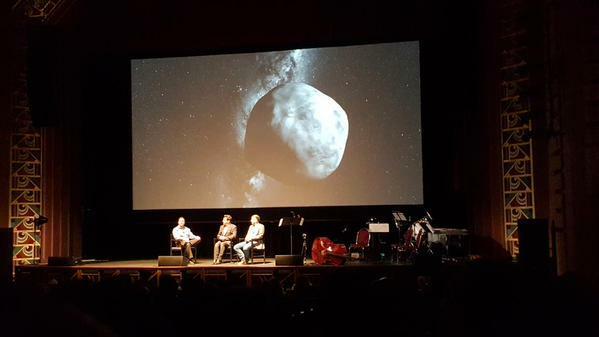 The game is based on real planetary missions and rocket science. It also contains elements of politics and strategy that are inspired by the real-life situations that space missions face. The Xtronaut Kickstarter campaign will help us get our education program to kids and adults all over the world. 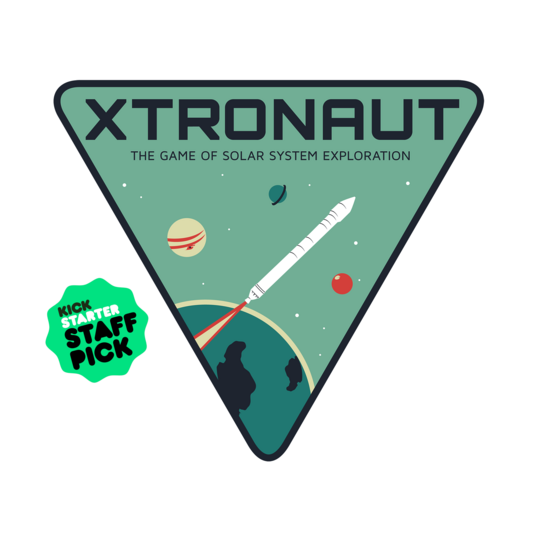 I created Xtronaut by combining two of my passions in life – solar system exploration and strategy gaming. I grew up playing the classic strategy board games like Settlers of Catan, Puerto Rico, Axis & Allies, and Civilization. I wanted to make a game that captures the various challenges and fun of planning a space mission. Together with many of my fellow rocket scientists and engineers, who are also huge board game fans, we created a game that is grounded in the real world of NASA missions. The result is an exciting game that combines real rocket science with mission planning, strategy, politics, and interactive play. My fellow Xtronauts and I invite you to join us on this great cosmic adventure – back our campaign and begin your journey! 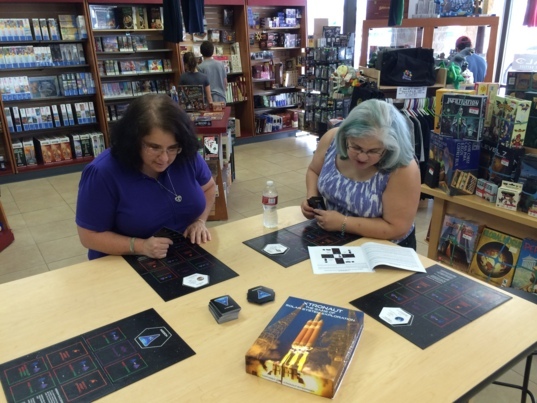 The Xtronaut game was recently demonstrated at the Isle of Games store in Tucson.